Merowe Dam’s Project is a multipurpose scheme for hydropower generation. It is basically intended for generating hydropower. The Dam civil work is located at the fourth cataract on the River Nile at Merowe. There were many feasibility studies done on the project in the past decades. The most recent studies were conducted by Monenco-Agra Company, Canada, in 1993, and the Hydro-project Institute, Russia, in 1999. The project has a high priority in the National Comprehensive Strategy, because the country is suffering from an acute shortage of electricity power, which impedes the economic and social development. The idea to establish Upper Atbara and Setait was founded six years after the completion of Khasm Al Garab Dam. The Ministry of Irrigation and Water Resources conducted the project studies at that time. However the project studies were updated in 2007 to 2009 by Dams Implementation Unit. 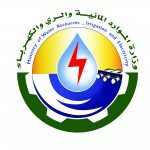 The project aims to provide irrigation water for new Wadi Halfa Agricultural Project, provide fresh water for humans, animals and agriculture, provide irrigation water for Upper Atabra Agricultural Project, generate power, supply Gadarif town with water and increase fish production in the area. The project studies were updated by several international companies and consultants in 2007 – 2010. The project is located 30 kilomters form Shouk town and has parts in both Kassala and Gadarif state. The agricultural projects produce wheat, fodder, potato and herbals. The project is known as Nile Company for Animal and Agricultural Production and it was established in 2012. The project produces 3,000 tons of poultry. The project now runs with full capacity. The project aims to produce 2400 tons of fish products and will start production in 2014. The project is implemented in Hamadab area. The program aims to use new and modern agricultural techniques to produce both crops and vegetables. The new techniques are used in producing wheat, potatoes and sesame. There are experimental researches on corn cultivation in New Amrai. The Agricultural Authority has two research stations in River Nile and Northern states that managed by senior Sudanese experts. Sudan has signed an agreement with Vietnam to develop some new corps and produce seeds locally in Sudan.